Now that were are in a cold season of winter, we will be experiences all sort of cold related sickness and flu such as catarrh, cough, sore throats etc but its very easy to prevent yourself from these through the methods discussed below as you read on with these health care tips. 1. Sleep Well: Research have shown that people who have short hours of sleep are easily down with the cold syndrome and it state that for one to fight this cold virus, you need to sleep at least 7 hours per day. It cools the nerves and improves the health. 2. Eat Fruits: Another good way to fight cold or prevent yourself from cold related sickness is to eat more of vitamins whose source is fruits. Most fruits contains vitamins and minerals that helps the body fight diseases such as cold flu, catarrh, cough etc. 3. 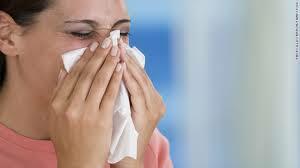 Antiviral Medications: One of the ways you can fight cold and its relate diseases is to take anti-viral flu medications. This has been proven to be effective and highly recommended in the first 2 days of signs. These drugs may not cure this as fast as possible but it makes it mild and the effect and other pains might be reduced to the minimum while you find solutions to it. 4. Take Zinc: Zinc has been proven to be very effective when it comes to controlling cold syndrome and its related diseases. If you notice you have cold, then it advice able for you to start taking zinc or zinc supplements which seems to be very effective. 5. Wear Thick Clothing: Thick clothing also works effectively pertaining cold syndrome. You not only need to wear clothing that covers your body but also take your bath with warm water. Its works for me each time am down with cold and within the next minutes am back to my feet. These are ways you fight against cold flu or you can also use the following ideas to prevent it. This season is really a cold season and we need to prevent ourselves from catarrh, cough, cold etc.